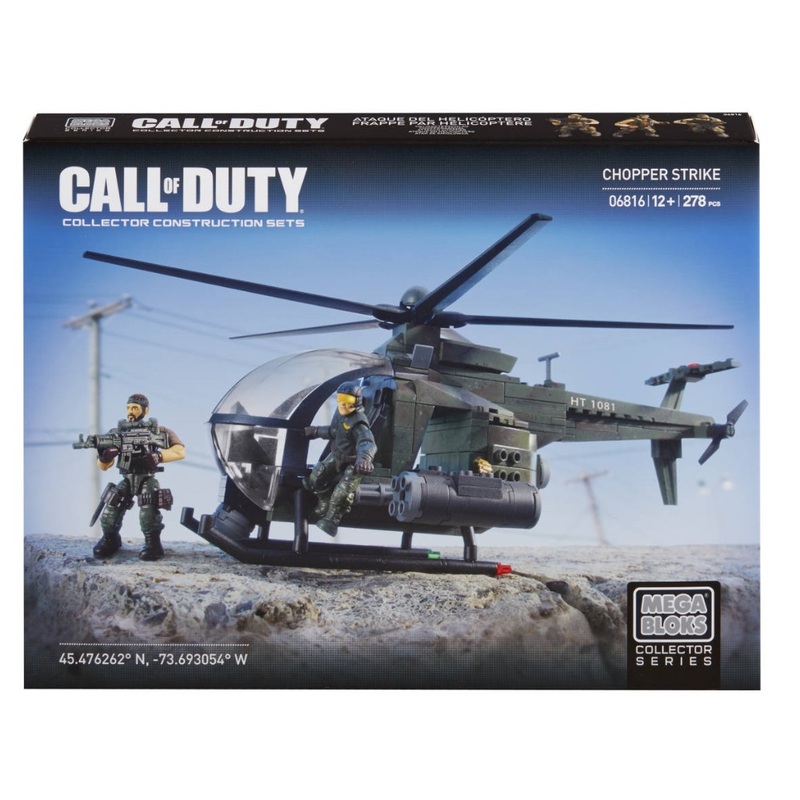 Product Detail Summary: The light attack helicopter of the Chopper Strike is used in support and transport of ground troops, unleashing a sudden lightning strike meant to overwhelm enemy forces with multiple weapons systems. The light attack helicopter is a buildable helicopter gunship with rotating blades, and realistic miniguns and rocket pods hanging from its stub-wing pylons, and measures 12L x 10.5W x 5H in inches. Frank Woods and one other special ops trooper possess extreme poseability for any combat scenario, and highly detailed, authentic interchangeable accessories and weapons that allow for mission-specific customization. • Buildable light attack helicopter 12L x 10.5W x 5H inches with rotating blades, stub-wing pylons, with miniguns and rocket pods. • Includes 18 highly detailed, interchangeable accessories and weapons like a removable combat vest, entrenching tool (E-Tool), ammo pouch, combat knife, ammo clip, flashlight, binoculars, walkie-talkie and more!